Last January, Emma Davis, of Irish origin but living in England, finally got the go-ahead to compete for Ireland. Six months later, she had done enough to make the Irish team for the Beijing Olympics - the first Irish triathlete to qualify since triathlon became an Olympic sport in 2000. "I much prefer to compete with Ireland. The politics over here don't interfere so much as they do in Britain and, with it being such an up and coming sport, it's nice just to get on with the sport and not to have to worry about all the rest of it," says the 22-year-old, who is supported by the Irish Sports Council's International Carding Scheme. Because of her Irish father, she spent a lot of time in Ireland as a child. "My dad was born in Belfast and brought up in Bangor, in Co Down, and when my mum and him got together, she moved to Ireland to be with him but because of work commitments, several years later, they decided to move back to England. My granny unfortunately died a few months ago, so we have inherited the house in Bangor," she says. 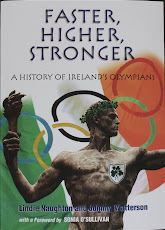 Davis comes from a strong sporting background. "My mother was a gymnast and my father a sailor, but my mum's dad was a runner and my dad's dad Robin Davis played cricket in Northern Ireland. My cousin used to play rugby for British Columbia so we have lots of active people in our family." The young Emma started her sporting life at the age of two when she had her first swimming lessons with a club in Woking, Surrey. She is remembered as a hard worker and a loyal club member who set many club records. In 2006, she was added to the club's Roll of Honour. "When I was younger, I reached county level as a runner and swimmer, but at 13 I gave up running for a while. At secondary school, I started taking part in some biathlons and won the National Schools Championships. I then went on to finish third at nationals and got invited to Loughborough for a time trial weekend, where we had to swim 400m and run 1500m," she says. From that came an invitation to join a camp for promising triathletes. "I didn't even have a road bike so I had to take my mountain bike. For a while I was just enjoying the sport and then I went off to Bath University and in my second year, I joined the Bath triathlon team." She still remembers her first triathlon, which was the Dover Quick Change when she was 15. "It's a double race - you swim bike run and then swim bike run again. I did that and then in the afternoon I did another triathlon so it was a crazy first entrance to the sport." Davis underlined her potential in 2006 when she came fifth at the first Aquathlon World Championships - a 1,000m swim in Lake Geneva followed by a 5km run. Also that summer, Davis won the Irish Triathlon title at Lough Neagh, where she was impressed both by the set-up and the welcome she received. "It was a very well or ganised race and everyone was so friendly that it made me think about what it would be like to race for Ireland. I was lucky enough to have the choice; it seemed right and I just felt more comfortable and at home racing for Ireland," she said. After completing a degree in mathematics at Bath University in May of last year (she got a first), Davis, who is based in Surrey, opted to go full time, with the support and encouragement of her coach and boyfriend Richard Standard, a veteran of the British swimming and triathlon scene. "I really owe 99% of my improvement to him this year. I didn't realise how much training you have to do to be an elite athlete and didn't believe in myself enough to commit to a serious programme. Rich had belief in me and showed me the best way to achieve results and how to construct a great programme. It's very hard but it works! Without him I wouldn't be where I am, and I'm very grateful to be able to benefit from his ten years experience in triathlon and many more years in the pool." Despite a number of frustrating injuries, including a bike crash and a stress fracture, which stopped her running for four months, she hit the international circuit last winter aiming to collect enough points for Olympic selection. "It's been a dream to go to the Olympics for a long time, so Richard and I started to investigate what I needed to do to qualify. I knew I would have to travel a lot if I was to have any chance of qualifying." In her first race after the injury, she finished second at a European Cup event in Poland. "It was nice to go and do well - I really didn't expect it. I rode with Bergit one of the Netherlands girls and she's a really good friend of mine now. I've made lots of friends - there are quite a few smaller teams and although every weekend we're racing in a different country, we're with the same people so you feel at home." After winning a World Cup race in Mombasa last November, her target for 2008 was to make the top ten consistently at World Cup level. Her campaign began in Australia where she warmed up for the World Cup season with a third place in the Gold Coast Triathlon. A 15th and then a 14th in races held in Mooloolaba, Australia and New Plymouth New Zealand saw her climbing the world rankings to 90th - up 57 places - with a world ranking of 50 her target. Davis nailed down her place for Beijing when she finished tenth at Tongyeong World Cup, Korea in April, followed by a ninth in Richard's Bay, South Africa in early May and another tenth in Madrid later that month. By now she was world ranked 47th. All she had to do was finish the course at the World Championships in Vancouver in June. As it turned out, not even that was necessary. "I thought I might have lost my Olympic place in Vancouver, but then some of the girls didn't turn up, so I realised about two hours before the race that I was in!" Davis finished an excellent 15th in a race where the bitterly cold weather did the competitors no favours. European champion and pre-race favourite Vanessa Fernandes from Portugal suffered badly in the cold and victory went to Britain's Helen Tucker. Davis's time of 2 hrs 4 mins 54 secs for the 1500m swim, 40k cycle and 10k run was just 46 seconds off seventh place in a closely fought race. Despite her background in swimming, Davis is "pretty even" between the three triathlon disciplines of swimming, cycling and running. 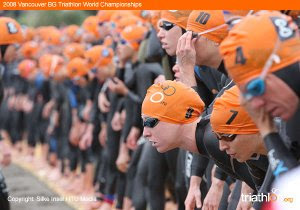 In triathlon, a strong swim is vital to win a place in the front pack for the cycle, where drafting is permitted. "In bigger races, it sometimes all comes together again, but I think it will be different in Beijing with it being a smaller field of 55 - normally there's about 80 - and a hilly course. I think if you're not in the lead pack, you probably not going to be in there when you go out on to the run." Davis never knew the late Caroline Kearney who died so tragically in June 2006 while on a training spin with her club in France. Kearney had set her heart on qualifying for Beijing. "I would have liked to have thought that both of us would have been going to Beijing. Some of my friends knew Caroline and it was such a sad thing to have happened - and it's happening unfortunately more and more. One of the Croatian coaches was hit while out on his bike a few weeks ago and died. A 24 year old - it's awful. " She travels to Beijing with an open mind. "I really don't know how I'll do. Triathlon is a very unpredictable sport. For the past two Olympics, a complete unknown has won the women's race. We would have expected Vanessa Fernandes to do well, but in her last race she pulled out and at the World Championships in Vancouver, she really struggled. It seems that what you expect isn't going to happen. I just hope to do my best." History: The first known swim, bike, run triathlons were held at San Diego's Mission Bay in 1974. 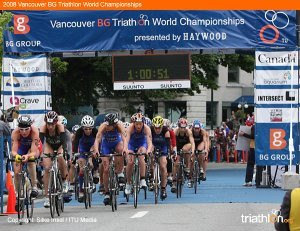 Triathlon was accepted as an Olympic sport in 1994 and made its debut at the Sydney Games of 2000.